Move over winter! 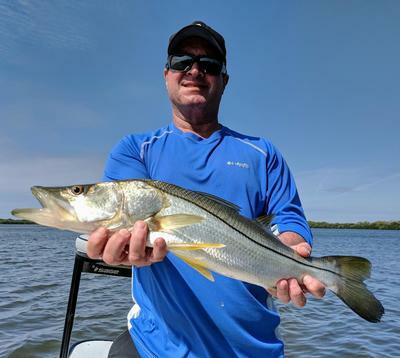 The Nature Coast’s Spring Fishing Action is starting to heat up here in Crystal River and Homosassa and I for one will be looking forward to a little more heat and the added bonus of humidity. That’s right! Bring on the humidity!!!!! I’m ready to put the sweatshirts away and break out the sunscreen a few extra times a day. Now I’m sure most snowbirds are probably cussing me right now because our weather has been so extremely comfortable but most Floridians will tell you that the nearshore fishing will only get better as our area begins its rapid warming trend. 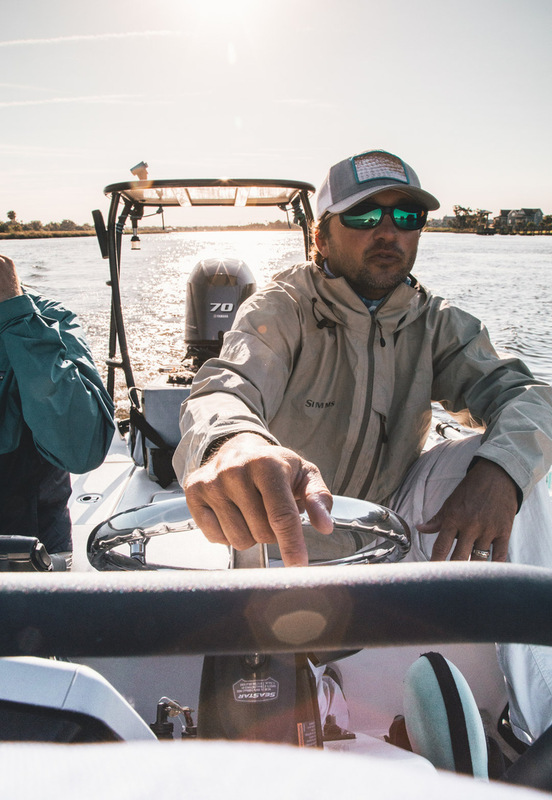 Warming Gulf waters is the catalyst needed for bringing in baitfish from their winter retreats and following closely will be massive schools of predatory fish including Jack Crevalle, Bluefish, Spanish Mackerel, Cobia, and Sharks. Over the last few weeks pods of small threadfin herring and ballyhoo have been found around the many rock piles scattered around our “Foul Area.” This sign indicates the warming trend over the last few weeks has worked positively as good catches of Spanish Mackerel, Bluefish and even Cobia have already been reported on spin and fly gear. 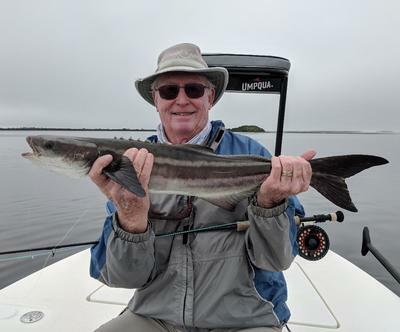 Speaking of Cobia, during a recent fly fishing trip I shared with Fred Williamson, he and I were working a couple decent schools of juvenile Tarpon with shrimp small shrimp flies when we were all of a sudden caught off guard by 3 Cobia cruising towards us on the surface. As these fish quickly approached we could tell there was one stud Cobia pushing 30lbs or better within the small school but as seems to always be the case the smaller faster fish found the fly first and was off to the raises. To make matters worse as we were fighting the smaller Cobia the larger fish swam by his side up until the time we put the first fish in the net. This kind of taunting is what makes Cobia catching so fun on fly or on any gear for that matter. 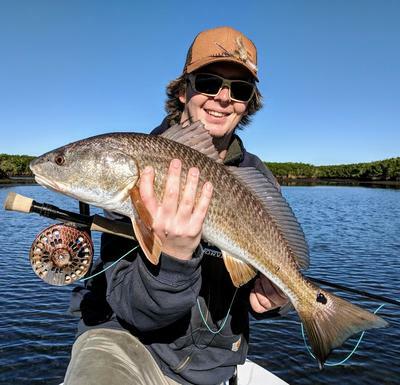 The backcountry fishing for Redfish, Speckled Trout, and Snook will continue to improve over the coming weeks as stronger full and new moon tides begin filling creeks that have seen a lack of tidal flow all winter long. Important tide dates to consider are the full moon on March 20th and the new moon on April 5th. 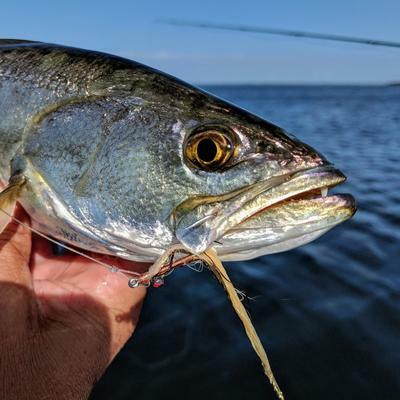 As flood tides start making a come back anglers will find that all three of these prized inshore species will be congregating with the many schools of mullet that use the mangroves of Ozello and Homosassa for protection. When targeting fish within schools of mullet especially Redfish, it’s very important to not SPOOK the mullet. Mullet are not easily spooked as they typically feel safety in numbers but all it takes is one errant cast in the middle of a school to send them in all different directions. Positioning your boat far enough away from the school so that an angler can make a cast on the fringe of the school is a must. Lately I have had my anglers make long casts outside of the school of fish or even behind the school in anticipation of the fish changing direction. When you have 100 fish facing one direction and a live shrimp or fly falls from the sky right in their faces that tends to not be a normal presentation. Throwing a fly or live bait behind the school and waiting for them to change direction still allows those fish to deliver an element of surprise to their unsuspecting prey and usually will lead to an instant hook up. Crystal River, FL Redfish landed on fly. Bio: Capt. Kyle Messier is a full-time professional fishing guide with over 15 years experience fishing the inshore and offshore waters of Florida. Capt. 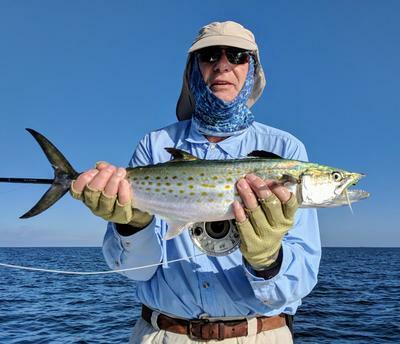 Kyle\'s home waters off the world famous Crystal River and Homosassa area produce a number of speices including Redfish, Speckled Trout, Tripltail, Shark, Black Drum, and Largemouth Bass. Inshore light tackle fishing is his specialty, but as long as an area is wet he can figure out a way to catch fish in it.